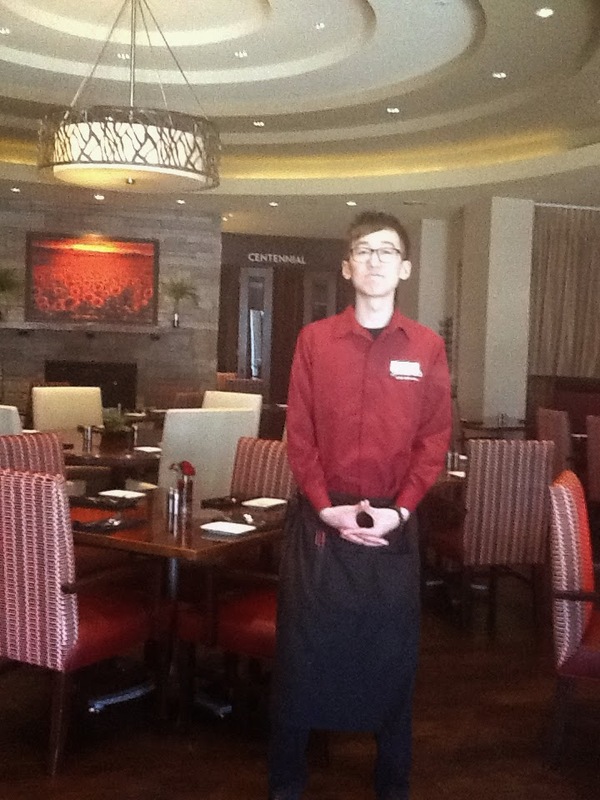 International Hospitality Management student Hang Yu recently undertook a placement at Denver Marriott South Hotel, USA. As an international student studying in the UK, I was thankful for obtaining an internship opportunity. I was very nervous at the beginning as I had very little work experience on my CV. I started my overseas school life once I graduated from high school in China. Basically, school life is all about passing the Chinese university test, and all students just focus on it. Culturally, we pretty much rely on the support of our families who provide us the funds for school fees and living expenditure. This is why young Chinese people, especially students aged over 18, lack part-time working experience. I worked as a food and beverage intern in Denver. Once I started I strongly felt there was a huge cultural barrier, especially the food culture in comparison to my own background. Although I've lived in UK for two years before I landed in the USA, it required me to learn some new things from zero immediately. For instance, I needed to learn the restaurant menu which had lots of unknown items for me like Mexican food. I felt passionate when I was working there. I gained a variety of practical skills and hotel knowledge during my placement year, such as food and wine knowledge, guest communication skills including how to talk with guests in English properly, solving guest complaints and teamwork. In addition, I found I improved myself a lot when I got chances to talk with guests, share life stories with them and take their suggestions. I also found once I settled into my job, I found lots of professional hospitality industry issues linked to the UCLan course. For example, I saw lots of colleagues leave the hotel and be replaced by new ones. It reminded me of the lecture at UCLan about high labor turnover in the hospitality industry, and it drove me to start researching this issue in my workplace. The placement provided me with a good opportunity to experience all kinds of issues related to my academic knowledge and I also feel more confident now. For my career development, I aim to gain more global work experience and knowledge in the hotel industry.